As a leading company within the network marketing industry, Isagenix® has found the key to helping our Customers and Associates find the success they’re looking for is to ensure each and every individual starts their journey on the right foot. We pride ourselves on guiding others in finding the Isagenix products, packs and solutions that are right for them which is why we recently updated the New Member Form. Available at ANZ.IsagenixBusiness.com, the New Member Form is the ideal tool to have on hand when helping a new Customer with their initial product order and comes in AU and NZ formats. This short and easy-to-use form simplifies the vast collection of Isagenix Systems and Packs by breaking down order details step by step. Utilise the New Member Form to build a relationship with them and learn how you can best help them use their products. This will help you determine whether they are interested in the Isagenix business opportunity. Purchase the New Member Form tear pad from IsaSalesTools.com.au so you’re always ready to guide a new Customer through the most popular packs, flavours and add-ons – wherever you are. Help people join the right way. Welcome your new Customers to upgrade their discounts through a Preferred Customer membership and Autoship. Then, if they are interested in becoming an Associate, you can help them convert their membership accounts at no charge. Add it to your tool kit by visiting ANZ.IsagenixBusiness.com. 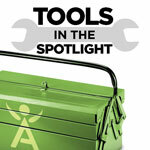 Select ‘tools’ then ‘tool PDFS’ to access the New Member Form. Looking for a Father’s Day gift for dad? Look no further than IsaSalesTools! In the lead up to Father’s Day, IsaSalesTools is offering 50% off Isagenix gym towels for the entire month of August! If you’ve got an active dad who loves to hit the gym, an Isagenix gym towel will be a welcome inclusion to his gym bag. Along with an awesome range of caps, drink bottles, bags and IsaGear, your dad will be spoilt for choice on his special day.